Our Tilapia Filets are an excellent introduction to seafood with their mild, palate-friendly flavor and medium texture. 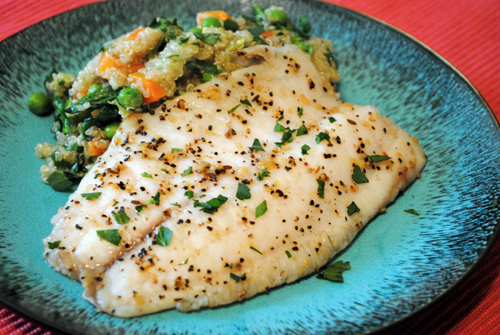 Tilapia is ideal for sauces or seasonings, adopting the flavors of the seasonings with which it’s paired. Broil: Preheat broiler. If desired, season fish with salt, pepper and lemon juice. Place pan containing the fish 4-5 inches from heat and broil 6-10 minutes per inch of thickness of filet. Test flaking at the thickest part of filet. Bake: Preheat oven to 425F. Place fish in lightly oiled shallow baking dish. Season with salt, pepper, butter or margarine. Bake 6-10 minutes per inch of thickness of filet until it is opaque in the middle.